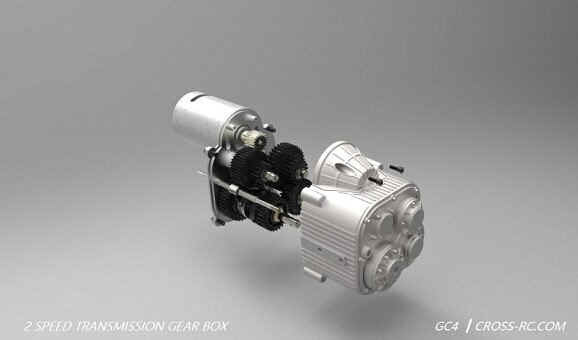 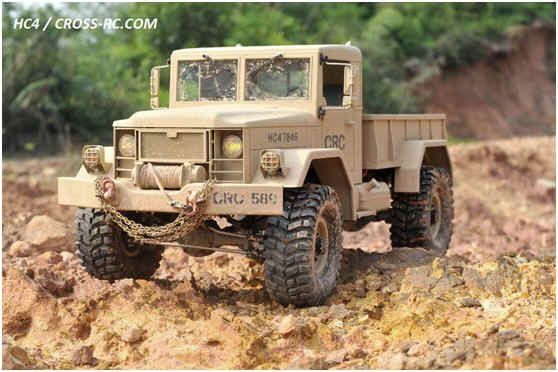 CROSS RC car and truck kits are very high quality and complex 4 to 8 wheel drive vehicles. 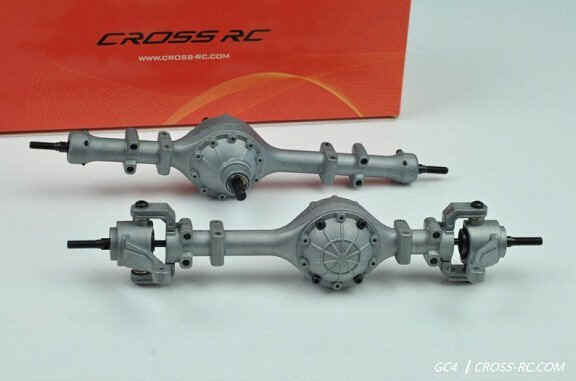 Cross Kit complexity varies from high parts count up to the very high quality UC6 ( weighs 8kg) which has many parts pre-assembled and it is the highest spec of all of the Cross rc cars lineup. 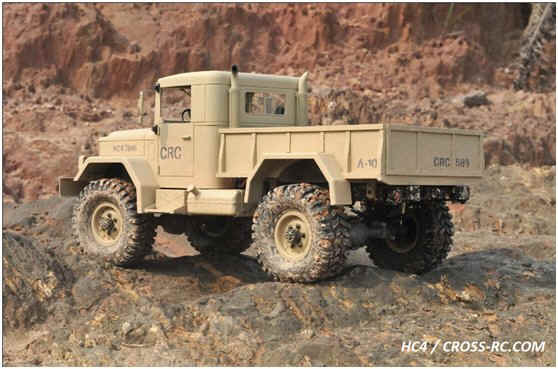 All the trucks and cars use beadlock wheels with soft tyres suitable for rock crawling. 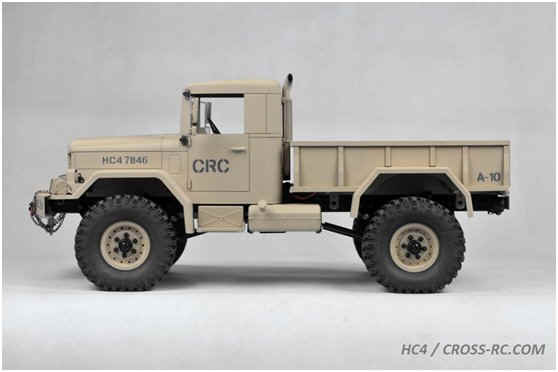 RC CROSS HC4 4 x 4 4WD TRUCK model. 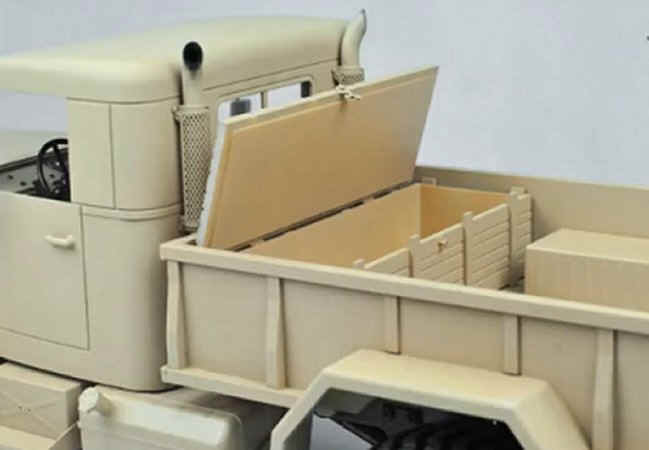 1/10 scale, 533mm long, 4 wheel drive. 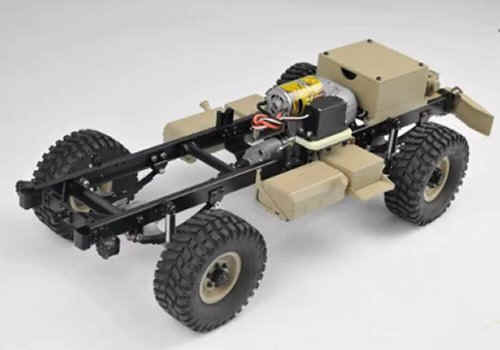 Complete kit of scale aluminium cnc chassis, assembled axles consisting of aluminium axle casings, steel axles with hardened steel gears, steel driveshafts with universal joints, assembled damper shock absorbers and leaf spring suspension, assembled scale steel 108mm beadlock wheels with soft grip tyres, led lights system, 45T motor and aluminium 2 speed gearbox already assembled, aluminium transfer gearbox. 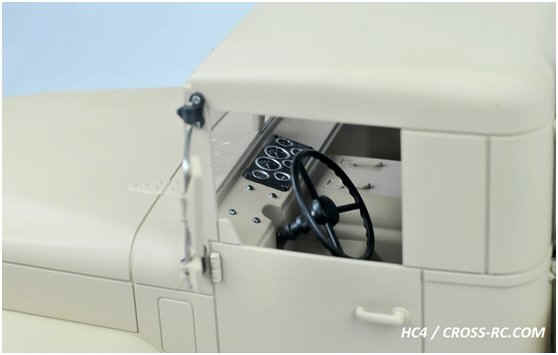 Scale detailed interior, opening doors.